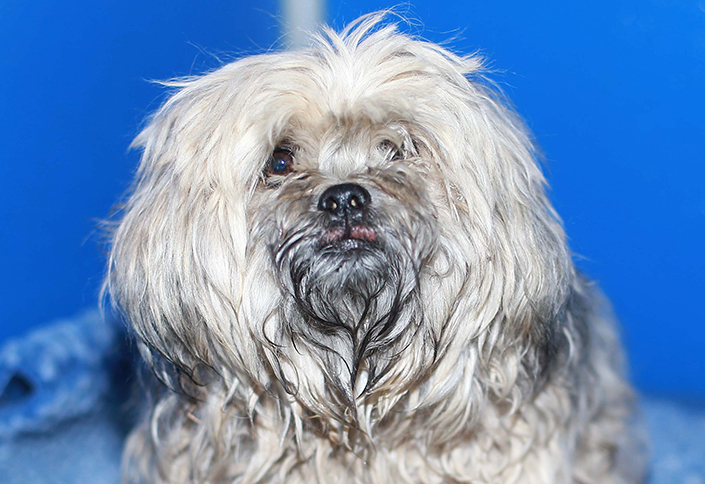 Griffin was covered in filthy, matted fur when he arrived at our shelter. After lots of TLC, he's now looking for a new home. Griffin arrived at our shelter in an awful state. The little dog’s body was covered in filthy, matted fur. WARNING: Contains images that some may find confronting. 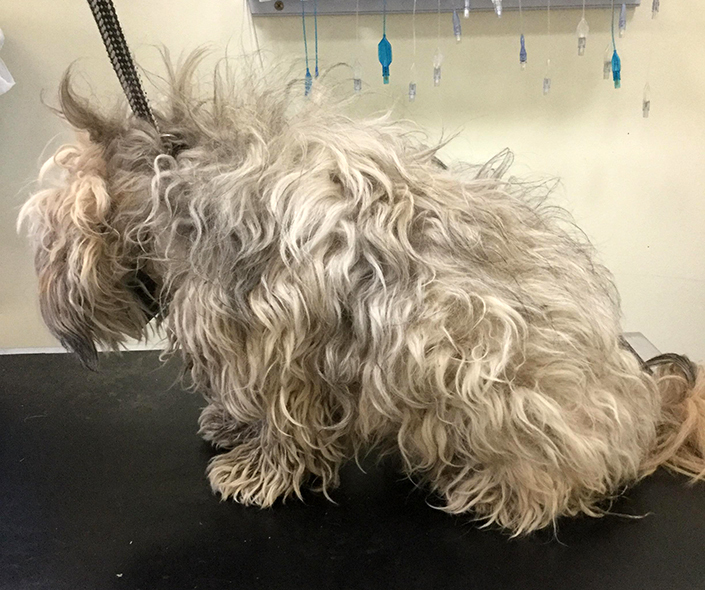 The fur around Griffin’s rear end was severely matted and caked in faeces. Our vet team carefully shaved it off, revealing something far worse. “Griffin’s skin was red raw. It was very swollen and covered in painful ulcers,” said Dr Caroline Butler, senior veterinarian in the Home’s shelter medicine department. “These ulcers covered a large area, measuring around 20cm by 20cm. Our vets also discovered that Griffin still had stitches from his desexing surgery. These had been left in for so long that fur had completely grown over them. Griffin had gone quite some time without proper care, leaving him in terrible pain and discomfort. “Our first priority was to administer pain relief to alleviate Griffin’s suffering,” said Caroline. 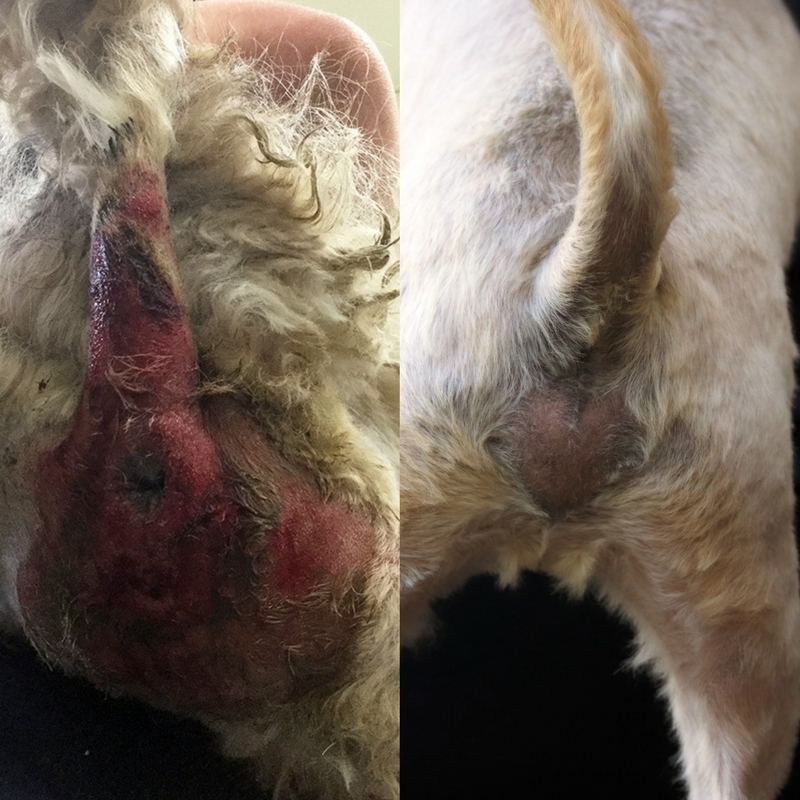 We had to gently and thoroughly clean the ulcerated area with antiseptic, and apply a topical treatment to help ease the inflammation. Griffin’s fur was in such a terrible state that he had to be groomed under general anesthetic. Thanks to the care of our vets and nurses, he made a smooth recovery from his painful condition. Our attendants have also been working with Griffin, using positive reward-based training to help build his confidence and independence. He’d love for this to continue in his new home to help him flourish. 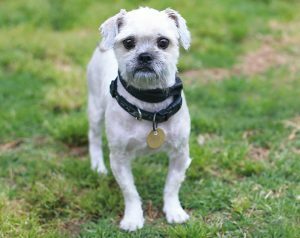 Griffin is now ready to find someone special who will give him the lifetime of care he deserves, and make sure he never suffers again. If you could be that special someone, view Griffin’s (ID 1036429) adoption profile to learn more about him and the type of home he’s looking for. 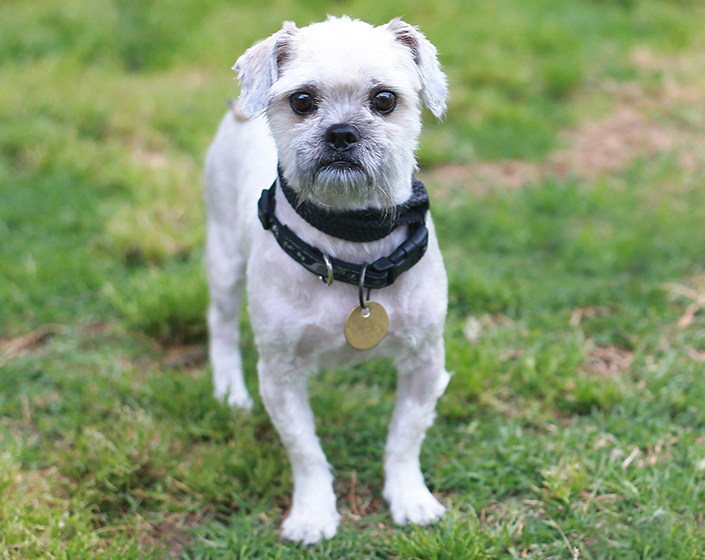 Or, come and meet him at our North Melbourne shelter.